I think everyone loves to travel; however, no one loves travel delays, missed connections, or lost luggage! We are avid travelers and have come up with ten things we always do to prepare for the worst! We always call ahead, or check with the airline, to find out about delays or cancellations before we go! There is nothing you can do about delays, but if you know before you go, it brings your stress level down. It also helps to not be surprised, or angry, after you just rushed through security trying to make your flight! I always pack medicine, Tylenol, small essential toiletries (toothbrush, toothpaste, mouthwash, shampoo), and a change of underwear in our carry-on bag in case our flight gets cancelled and we need to stay overnight somewhere. Having the essentials really takes the edge off! Remember to buy travel size, and put it all in a Ziplock to get through security! Pack snacks that are easy to eat and satisfy hunger! Whenever we travel, I have snacks for the kids and I, in case we get stuck somewhere! Granola bars, nuts, hard candies, chips, crackers, and gum come in handy in a tough travel situation! You would be amazed at how many times we have been traveling, and there was no food available! Once you have cleared security, buy water! I make sure that the boys and I always have a bottle of water in case we are stuck on a runway or in a late-night terminal that has closed for the night! Water is a must! A great trick is to carry a refillable water bottle! Then, even if the terminal stores are closed, you can refill at the nearest bathroom or drinking fountain after you pass security! Ask questions, but be nice! Honey attracts more bees than vinegar! Remember, the airline employees at the counter are expecting you to be upset! Let them know, that you know, it’s not their fault. 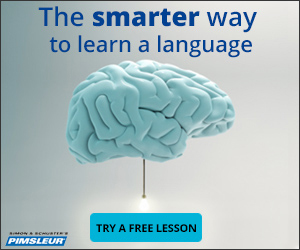 Then, ask questions that they can answer! Don’t ask how long, because they don’t know! Ask what is the situation so you can make good decisions. For example, recently on an international flight, we were delayed three hours for maintenance… then another two hours for maintenance, and then an additional hour to change flight crews. We were in the middle leg of our flight at midnight. My kids were tired, hungry, and stressed! First, I wanted to know the maintenance issue. Did they expect the issue to get fixed, and what were my options if I wanted to stay in a hotel and take another flight the next day? This way, I have all the information to decide if it’s best to just stay in a hotel and start over tomorrow or if it’s better to hang out at the airport until 3 a.m. to catch this flight! I then explained the situation to the boys so they understood and were not stressed or afraid! Don’t be afraid to cut your losses and ask for travel vouchers! 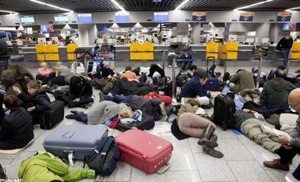 First, always know your airline’s policy on delays before you go. Normally, once a flight is delayed more than three hours, you have the option to ask to be moved to another flight the next day, and you qualify for food and hotel vouchers! Sometimes, it’s better to just stay put! If you do so, the counter people can look up additional flights and options for traveling the next day. This way you know your options! If a snowstorm is heading your way, better try and get out of dodge no matter how delayed your flight is! If the same flight is wide open tomorrow at 9 a.m., stay the night with vouchers and experience a new city. Pack things to keep you and your family occupied! I always pack our kindles/iPads and a few travel games in our carry-on bag. A deck of cards is lightweight and can distract you and the kids while waiting for a plane! Also, I always download a movie or cartoon that the kids haven’t seen and can enjoy while waiting! Delayed? Surprise, look what I have! Ask for help! If your plane is late, and you need to sprint across the airport to make your connection, ask the flight attendants for help! Ask if the next plane is on time. Ask them where your departing gate is and how to get there! Normally, in the travel magazines in the seat pocket on the plane is a map of the airport – use it! Lastly, ask the flight attendants to make an announcement that some people are trying to make tight connections and if those who are willing will remain seated to help out! Most airlines are happy to do this! If you miss your connection, I hope you applied numbers 2 through 7! Pack smart! When we go to the USA, we always bring home lots of new things! Once bags are delayed or re-routed, they can easily be rummaged through and items can disappear! Pack smart – do not pack any electronics or valuables in your checked luggage! Separate nice items into multiple bags. For example, don’t put all your Gucci items in one suitcase! When we buy basketball shoes I never put a pair of shoes in the same bag. Each bag gets only one shoe. That way, if someone digs through a bag, they probably won’t steal just one shoe since the matching shoe is not there! Take photos of your bags! Take photos of your contents! When bringing back 15 pairs of shoes for my family, I separate the shoes and then take photos of the contents before I zip them up! I also photo and document receipts of all the new items we purchased, just in case they end up missing. This way, I have documentation to show the airlines and get reimbursed for our items! Above all, I stay calm – remember, those around you are normally reacting to your behavior. Travel is an adventure! Thanks for reading! 5 Things That Will Get Your Kids Excited About Sightseeing! These are really great tips for travelling smarter and dealing with the unexpected. Loved the idea of splitting shoes so they arent nicked! 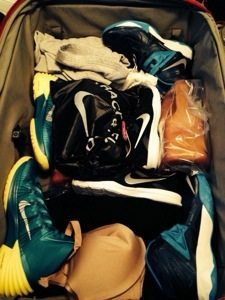 Yes well when we come back we have like 15 pairs of basketball shoes in our luggage so I have to split them up Because no one wants to steal only one shoe! :) Thank you for reading! Hi Karen thank you for reading! Yes I always photograph it for proof in case it gets lost and separate my Nike shoes in separate bags! :) thank you again! Reblogged this on Forget the Viagra, Pass Me a Carrot and commented: Thankfully do not do much long haul anymore but quite frankly I try to make my trips back to the UK as stress free as possible. 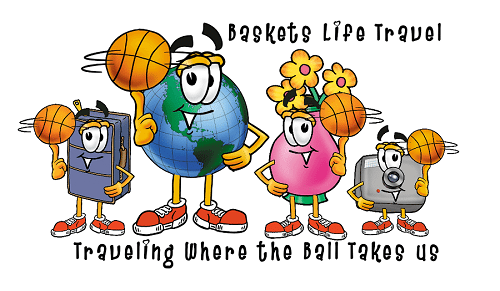 For those of you planning a January or February getaway - some useful tips from basketslife. Very good points! Especially love 5 and 6. People need to remember the gate agent didn't cause the delay and will be much more inclined to help you if you don't act like a jerk. Also, vouchers rock.